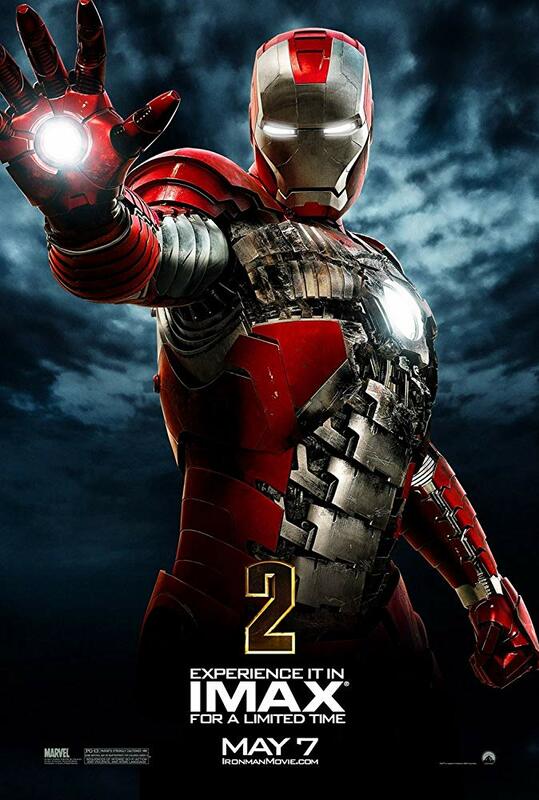 Iron Man 2 released as the third movie in the Marvel Cinematic Universe and a direct sequel to Iron Man released two years prior. Once again directed by Jon Favreau, Robert Downey Jr and Gwyneth Paltrow return to reprise their roles from the first film. Introduced in this movie to continue in the Marvel Cinematic Universe are Scarlett Johansson as Natasha Romanoff, Samuel L Jackson as Nick Fury, and Don Cheadle taking the mantle of James Rhodes from Terrance Howards. Then there are the villains for this movie with Sam Rockwell as Justin Hammer and Mickey Rourke as Ivan Vanko. 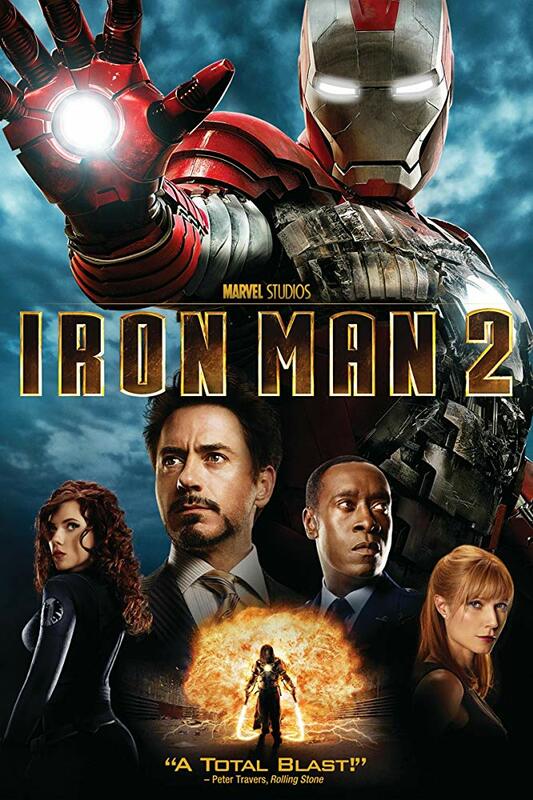 Iron Man 2 picks up six months after the first film, with Tony Stark hitting a midlife crisis as he realizes that the very device keeping him alive is also poisoning him. He has tried to find a substitute, but has been unable to, go through every element that could be used to replace the palladium that the arc reactor core needs to run. Knowing that death on coming for him, he becomes more reckless than before, and begins to go through a state of depression and being completely out of control as he keeps his fate secret from everyone around him. It is a very interesting moral dilemma that Stark is put through. Due to his normal erratic behavior, most don’t seem to see that he is going through something and think he is just cranking up his normal personality to a more selfish level than before. It leads to some great opportunities for Robert Downey Jr to really solidify himself and the role of Tony Stark in conveying the internal pain that he tries to hide. Couple this with the fact that Tony Stark is finding out more about his father and his involvement in shield, that he never knew of growing up and he is going through a lot in this movie. The movie almost doesn’t need a villain and can progress on just Tony coming to find what it means to be a superhero in of itself, and learning to control himself better. 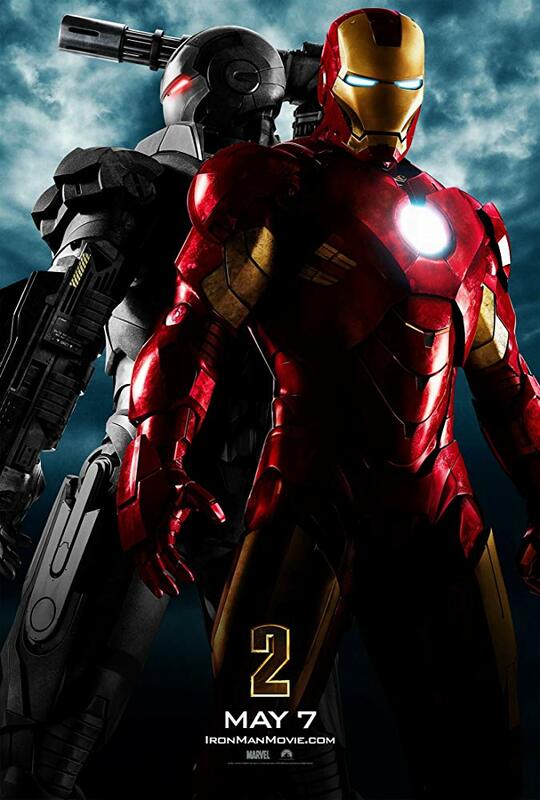 There is a villain in Iron Man 2 though, technically two. 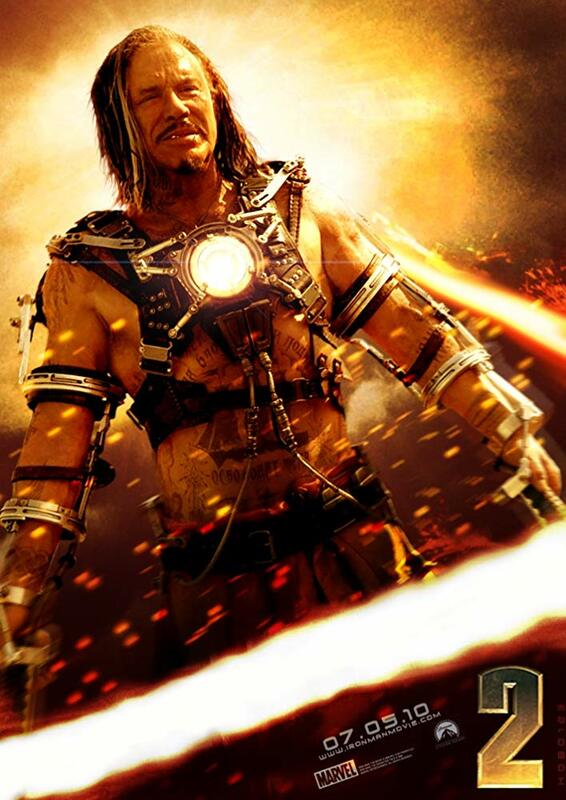 The main villain is Ivan Vanko, the son of Anton Vanko who worked on the arc reactor with Tony’s father Howard Stark. 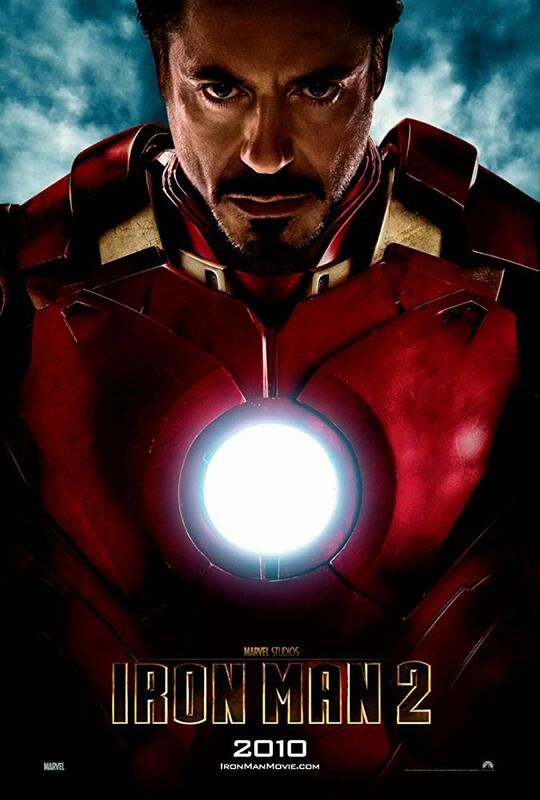 Anton Vanko was deported by Howard Stark and Ivan Vanko intends to bring retribution to Tony for his fathers actions. Ivan is probably one of the terrifying villains with his demeanor. He has one of my personal favorite entrances to the movie of any other Marvel villain, showing up on a race track with electric whips powered by an arc reactor of his own capable of cutting through anything in their path. The way he nonchalantly steps into the middle of a race and starts slashing at vehicles, and even when he is captured he keeps his composure. 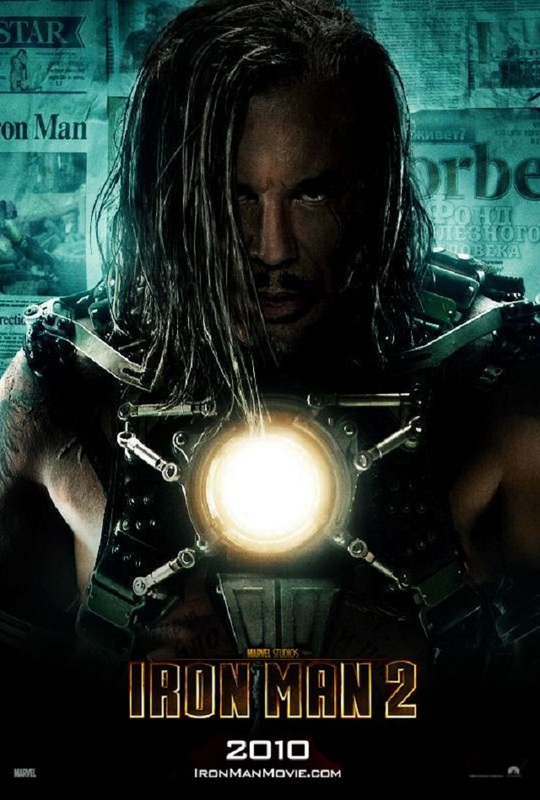 Every line Mickey Rourke delivers as Ivan Vanko feels bone chilling, and his conversation with Tony Stark when he is custody is terrifying. He accomplished his goal, the line “if you can make god bleed, people will cease to believe in him” is the best example of what Ivans goals in the movie are. He is one of the few villains that is defeated but still gets exactly what they wanted the whole time. It is sad that by the end of the movie he becomes another guy in an iron man suit defeated in 30 seconds. The second villain of the movie Justin Hammer comes off as comical at best, and could be completely cut from the film almost entirely with nothing lost. 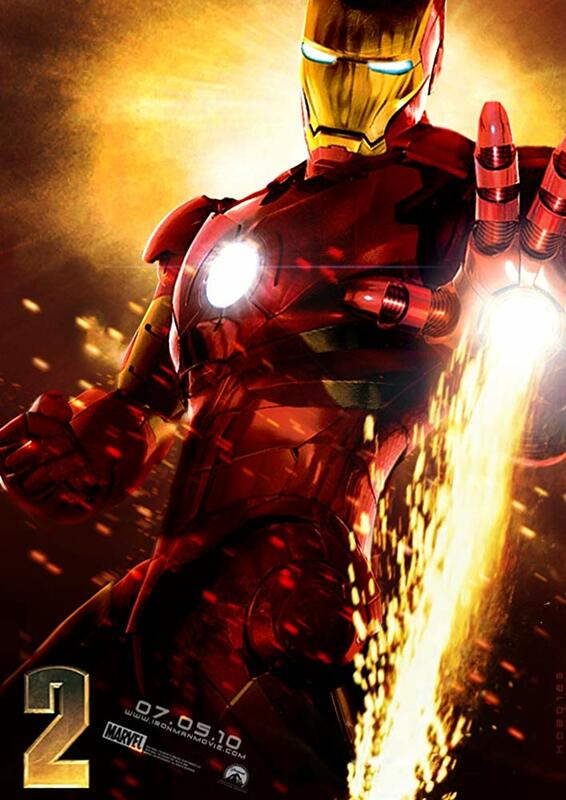 He is no threat to Stark at all, and is shown to be completely incompetent throughout the movie. The scenes with him seem to be a distraction from the rest of the film, and I believe him to be one of the few things holding this movie back. The effects and writing in this movie are really good, I would say the effects about on par with what we came to see in Iron Man, and the writing is about there as well. There are a couple points of the movie that could be touched up on, or adjusted but the creativity and fun in this movie comes from a different angle. In the first movie a lot of the fun came from watching Tony Stark build his suit and test it, the fun in this movie comes from Tony getting creative with his suits. The briefcase Iron Man suit, while no longer practical in the future movies, is still one of my favorite ideas of how to carry the suit around with him for short notice usage. Then when Tony finally goes back into inventor mode in the film, its fun to watch him tear down his house trying to build the contraption that is deemed impossible. Even the interaction between him and Nick Fury of shield is fun, and it puts into perspective just how big Shield is by this point in the Marvel Cinematic Universe. There are very few films that actually show just how big Shield is in this universe, and Iron Man 2 sets the foundation of understanding just how it operates, with them being aware of the poison that Tony is enduring due to his Arc Reactor, and knowing that his father had the answer, and it is only Tony that can really solve it. The movie does a good way of showing the power and knowledge shield has, instead of just telling it to us. The first time I watched this movie I liked a lot of it and didn’t understand why everyone kept saying it was so bad, and on second viewing I still hold most of the same views as before. The movie has a lot going on, and for the most part it is all well done. The points of Hammer Industries could be removed and there would be no loss to the film, and the ending falls flat for what the rest of the film is setting up. There is a lot of potential in this movie, but it just wasn’t all met in the same way the first film came together. It also introduces a lot of characters and ideals that would follow suit in the Marvel Cinematic Universe going forward. 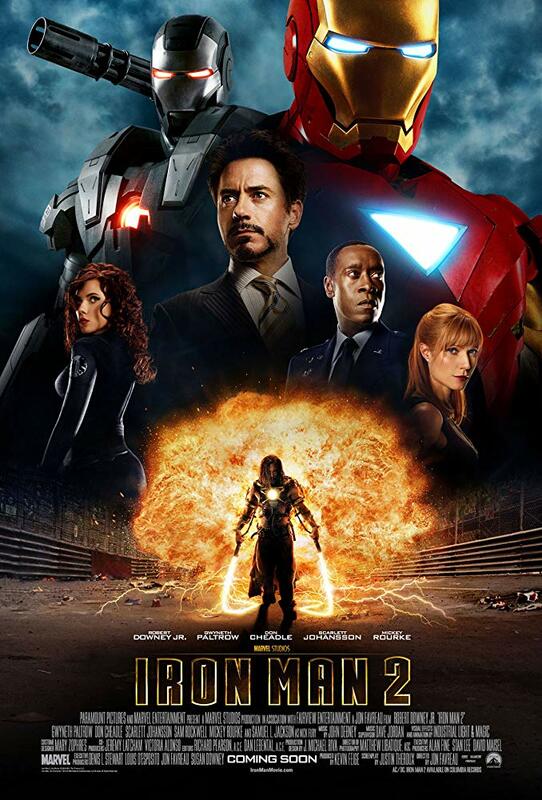 While it isn’t as good as the first Iron Man movie, it does hold up as a very well done sequel, and is still leagues better than Iron Man 3 which I will get to soon enough.